Please, make for mcpe 1.11.0.9 (for Android). And can work on Android? IT WONT LOAD!! ITS IN MY MODS FOLDER! For all those asking, the 1.12.2 version of the mod has been out for ages but it is not being put on the page until it is stable! 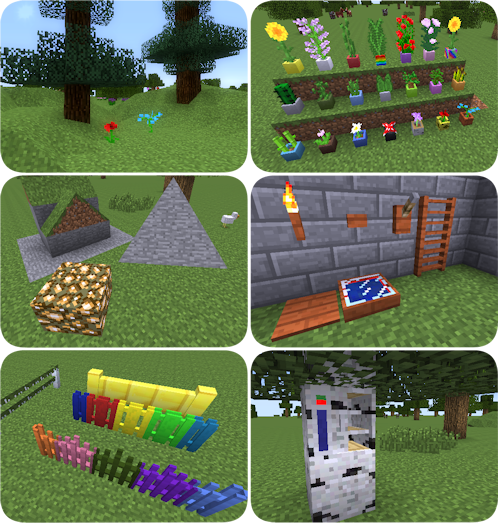 Why is minecraft so difficult when it comes to mods? I've never been able to successfully download any mod on first attempt. When I download this one, nothing happens. Literally nothing. have any of your mods worked? if not, have you tried putting the downloaded mods in your minecraft mods folder, if you dont have a mods folder you need to download forge (be careful for yucky viruses as they tend to like the minecraft forge page. can u upate it to 1.12.2? Can you add a Carpenter's Chest? can you make it so when i change the lever to a different block, the stick of the lever also changes? Mineshopper wrote on its page that there are only stable versions on curse. If you want the latest version - i would name it beta for minecraft 1.12.2 - look on the website > download like ultracybergod said. The mod is getting rewritten.